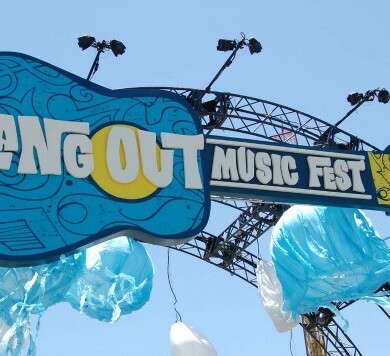 The Hangout Music Fest is an annual three-day festival held each May since 2010 in Gulf Shores, AL. The first festival of its kind to be held on the beach in the city, its unprecedented popularity mandated attendance to be capped at 35,000 people beginning with its 8th year. Advance general admission tickets can sell out as early as three months prior to the event. Let’s just say it’s kind of a big deal. Musical acts have run the gamut from The Zac Brown Band to the Black Crowes, spanning genres such as Country, Indie Rock, Hippie Jam, Electronica, Funk, Reggae, R&B and Alternative. Past headliners include the Dave Matthews Band, Red Hot Chili Peppers, Stevie Wonder and other fan favorites. What began as a small regional three-day festival has become a nationally-recognized powerhouse in the crowded music festival landscape. The Hangout Music Fest begins with a Thursday Kick-Off Party, featuring a total of more than 80 acts by the time it winds down on Sunday. But there’s more than music to be found at the venue. The Alabama Seafood Courtyard will serve up fresh eats from acclaimed regional chefs. There is also a village of pop-up boutiques where guests can shop for sunglasses and beachwear. New to the festival is a beachside wedding chapel, where music lovers can say their vows to the beat of their favorite drummer. To build excitement for the event, the Hangout – a year-round restaurant and bar boasting an outdoor stage in the sand – hosts seven free weekend concerts beginning in April. So if you miss out on tickets to the Music Fest, you don’t have to miss out on the awesome ambiance and sweet sounds of the Hangout itself.